250, signed & numbered piece, image size 28" x 36"
Beach paintings have been a favorite for art collectors for centuries, It seems like we've always had a fascination with the colors of a sunset, a turquoise ocean and a pristine beach Seascape. Artist David Miller's rich palette of colors and his fantasy beach scenes have earned him a prestigious position among the great artists of today. 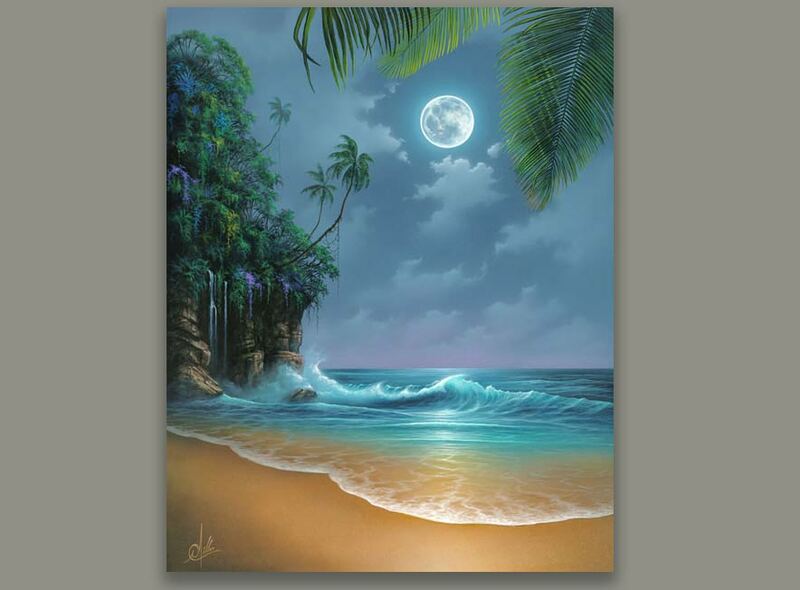 Quality beach paintings will always be sought after by art enthusiast and will never go out of style.